Nasal polyps are soft, painless, noncancerous growths on the lining of your nasal passages or sinuses. They hang down like teardrops or grapes. They result from chronic inflammation due to asthma, recurring infection, allergies, drug sensitivity or certain immune disorders. 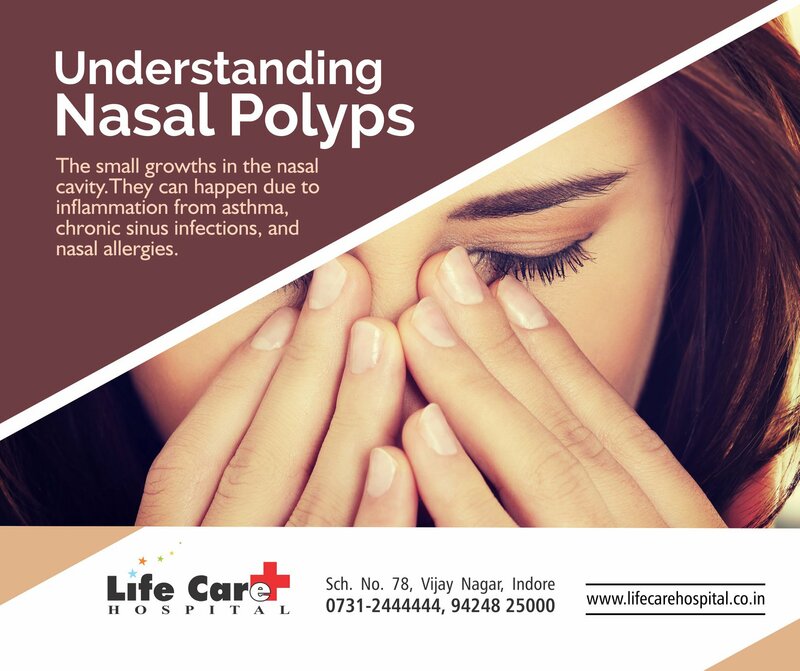 Small nasal polyps may not cause symptoms. Larger growths or groups of nasal polyps can block your nasal passages or lead to breathing problems, a lost sense of smell and frequent infections.